Have you tried losing weight before like I have, and found how difficult it is to stick to your diet? Well, now you can follow the step by step goals on WALKING TO YOUR GOAL WEIGHT AND STAY THERE and lose weight without going hungry. You will learn how to add a few steps in your busy day and lose weight without agony. You will burn your calories faster with the techniques I have used. Don't wait – let “SLIM BODY-WALK TO YOUR GOAL WEIGHT AND STAY THERE” give you the courage and energy you need to succeed TODAY! You'll discover the many benefits and techniques of walking, both physical and mental. “SLIM BODY-WALK TO YOUR GOAL WEIGHT AND STAY THERE” helps you understand when and where to walk, what to wear and how to get others involved in your healthy habit. It gives you the motivation you need to truly succeed to your goal weight. 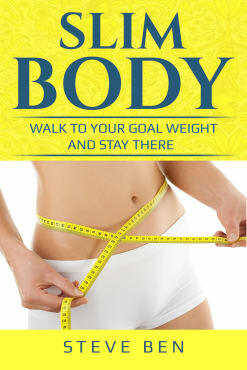 All you have to do is to read the book “SLIM BODY” and watch yourself walk to your goal weight and stay there forever.